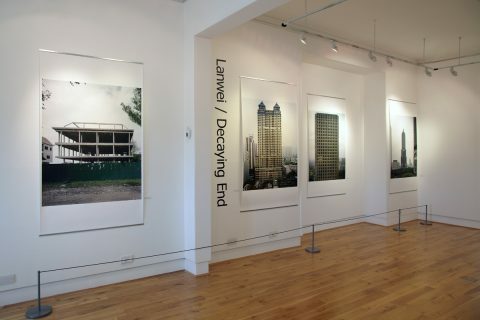 Eight years ago today saw the opening of the exhibition Lanwei / Decaying End, touring from the Chinese Arts Centre, Manchester, at St Andrews Museum. Lanwei / Decaying End was the first solo photography exhibition by Stanley Wong, better known as ‘anothermountainman’. 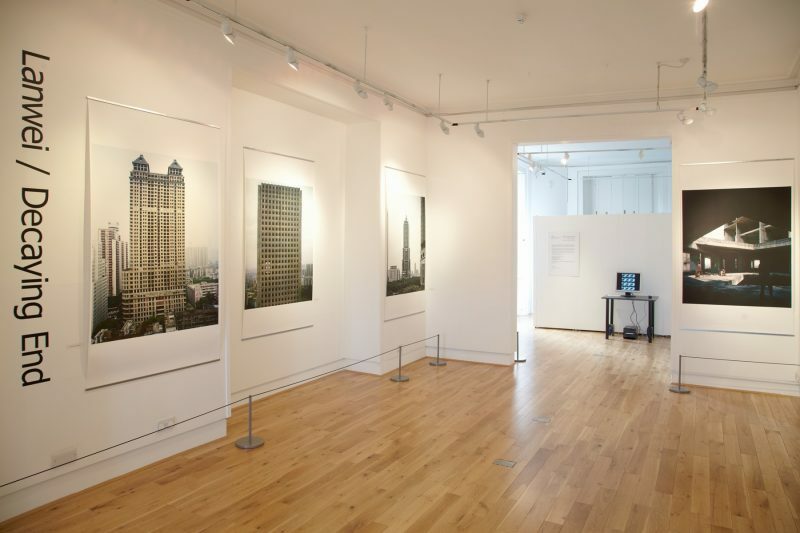 The photographs were part of an on-going project, documenting abandoned, incomplete building projects from across Asia. In the beautiful photographic images the buildings loom empty and abandoned. The scenes of figures positioned amidst a few of their possessions evoke narratives of dreams and aspirations which, like the buildings, have been abandoned. In the exhibition title, ‘lan’ means ‘decaying’ or ‘rotting’ and ‘wei’ means ‘the tail’ or ‘the ending’. It was a term used by people in China to describe these building projects that were never completed.